Hey, my company sets up our design department like [X]. Is that normal? Digital product design is such a nascent practice that we often don’t have a good answer for what is normal, what is a unique breakthrough, and what is so three years ago. 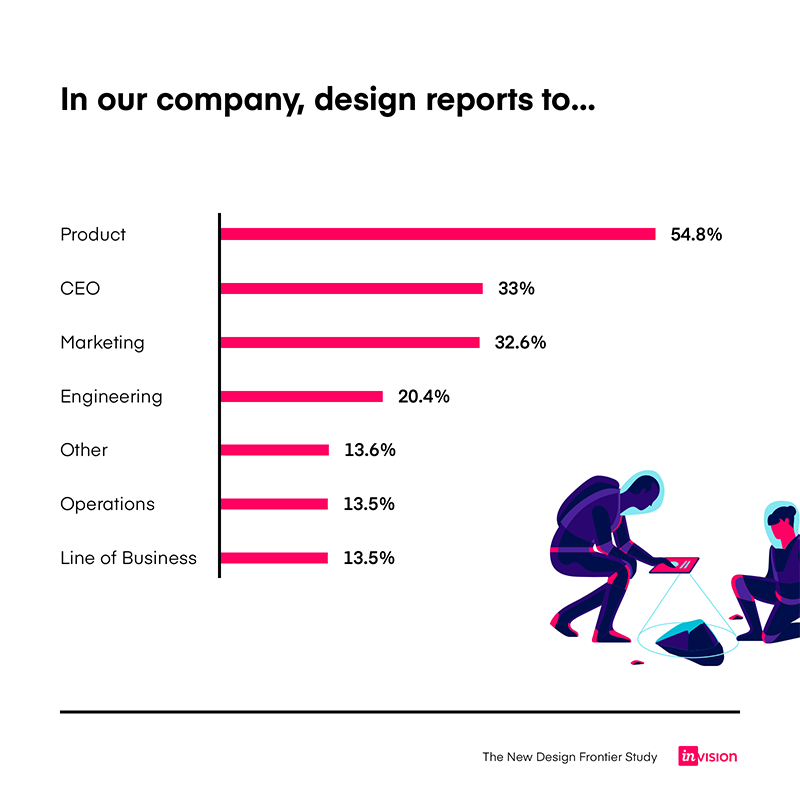 That’s why we conducted the largest global survey of design in business (2,200 companies in 24 industries and 77 countries) to discover how the science of digital product design has evolved and where it is today. It’s an unprecedented look into the digital product design ecosystem and its impact on business. Our main takeaway: The more an organization embraces and integrates design practices, the more positive business outcomes it sees. You can read the full report here where we showcase what a “design mature” company does, but below we recap a (very) small number of our findings. The survey companies were of every shape, size, and industry. Our report has views into aerospace, advertising, insurance, education, and everything in between. Companies in 77 countries answered our survey. 48% were outside of North America. One surprising learning was how much the design field has in common globally. Many of the same trends and themes were visible across different regions, in companies of varying sizes, and even across enterprise vs agency. 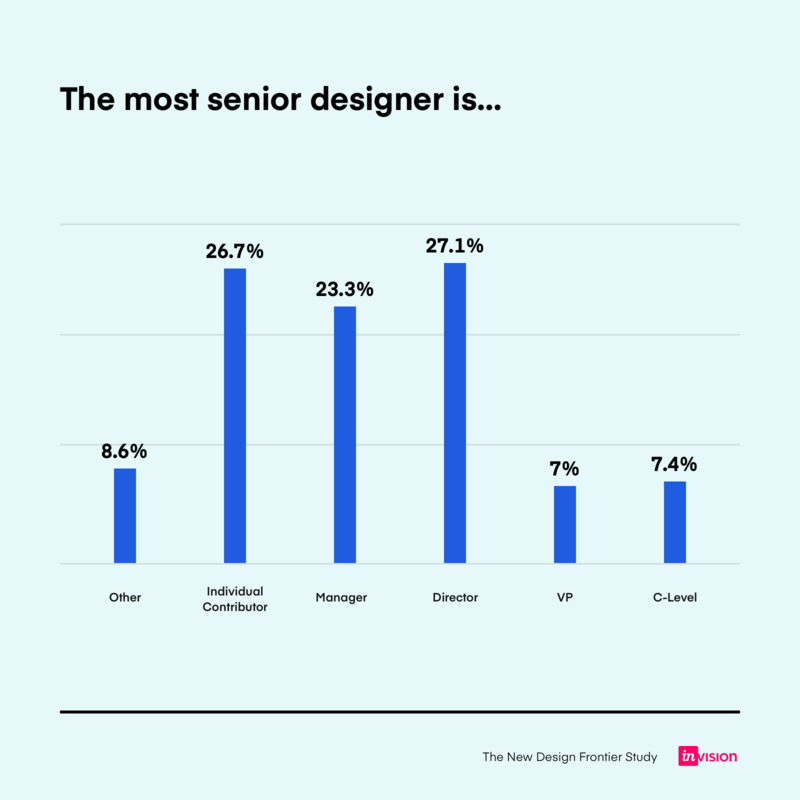 Nearly a quarter of respondents have no form of design leadership. 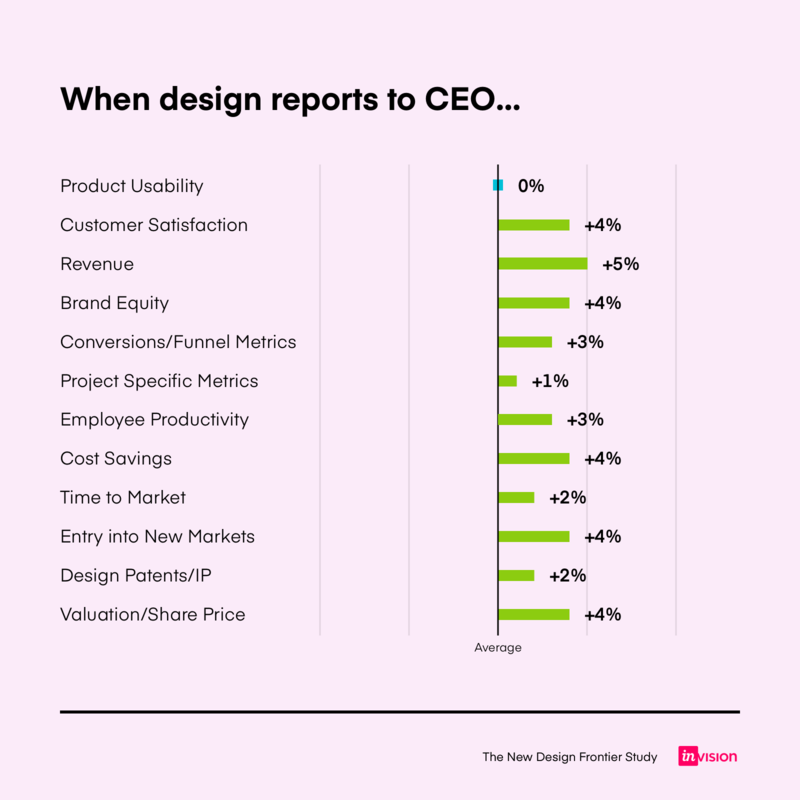 While a surprising number have design in the C-suite. 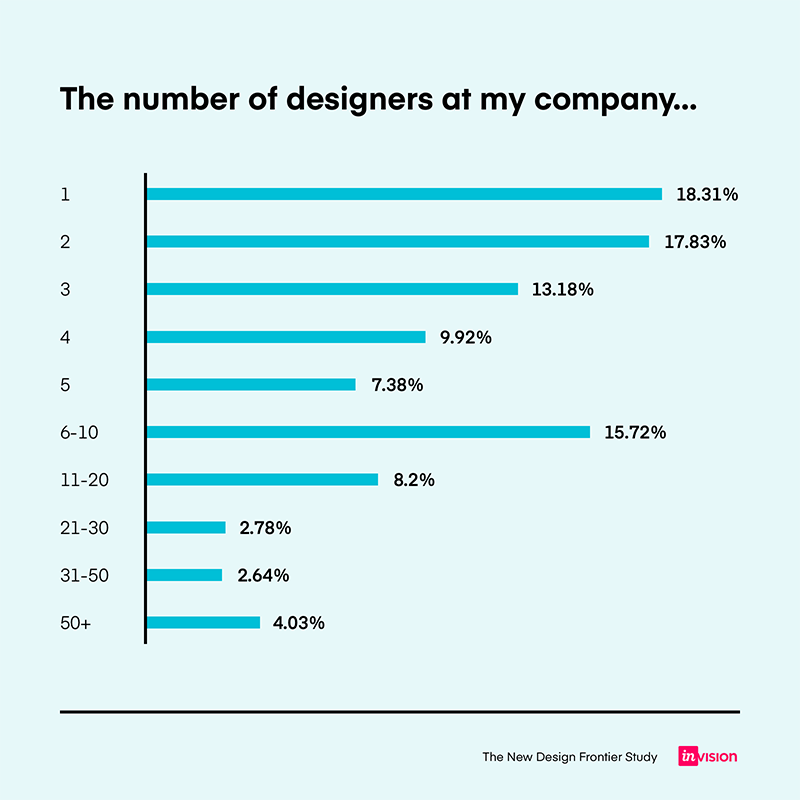 The average number of designers at a company is 27. 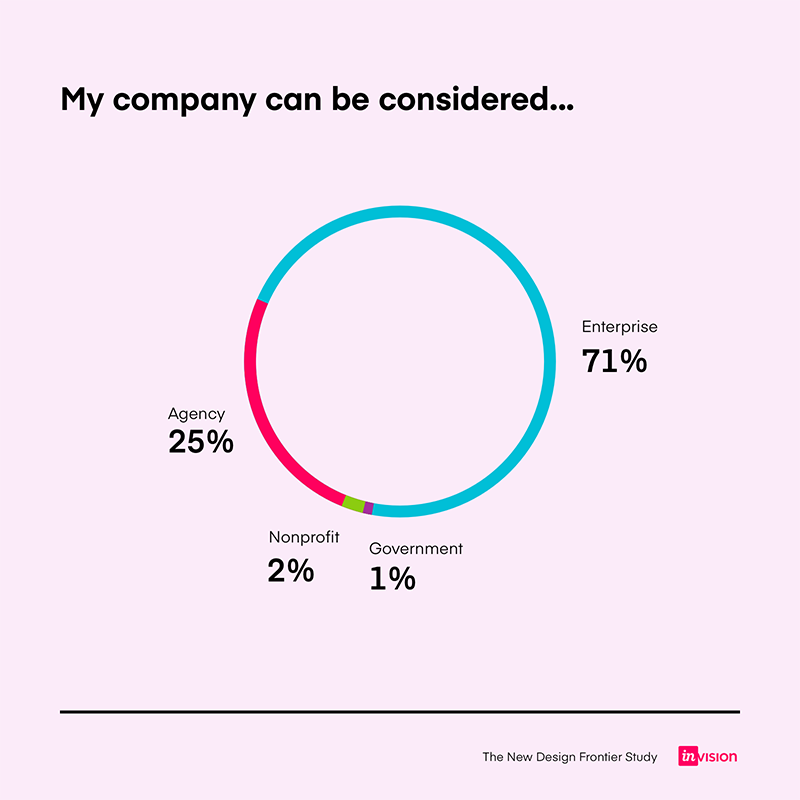 But viewed as buckets, nearly a third of companies have two or fewer designers. “Getting design involved” is no longer a novel product process done by design mature companies. It’s table stakes. 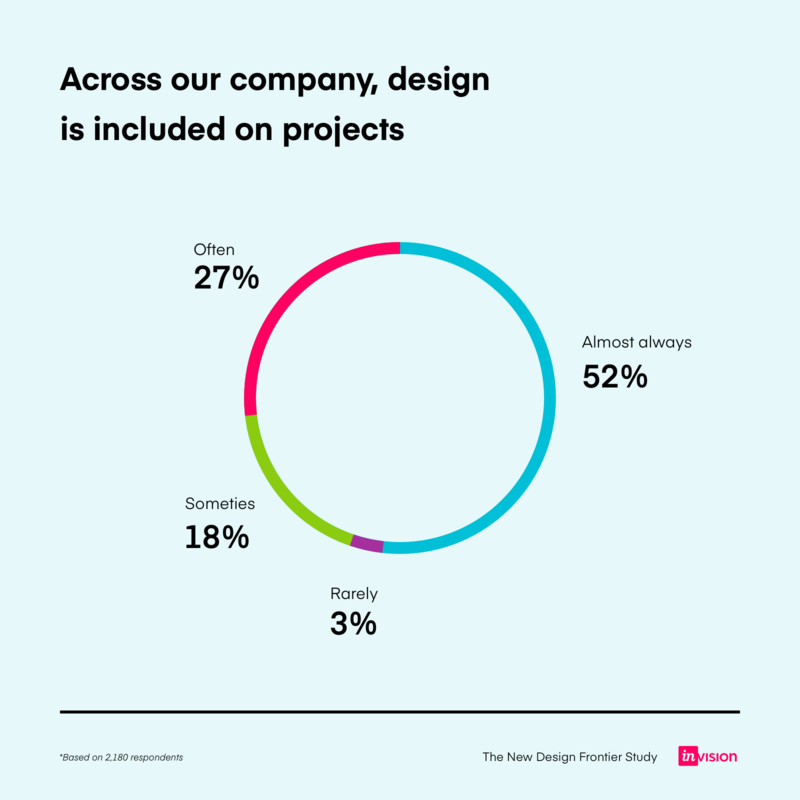 The overwhelming majority of companies who answered our survey include design when creating a product, and 66% of companies agree that “Design is well integrated in the product development process” in their organizations. We’ve seen an industry narrative that designers are hopelessly overwhelmed by engineers at most companies. 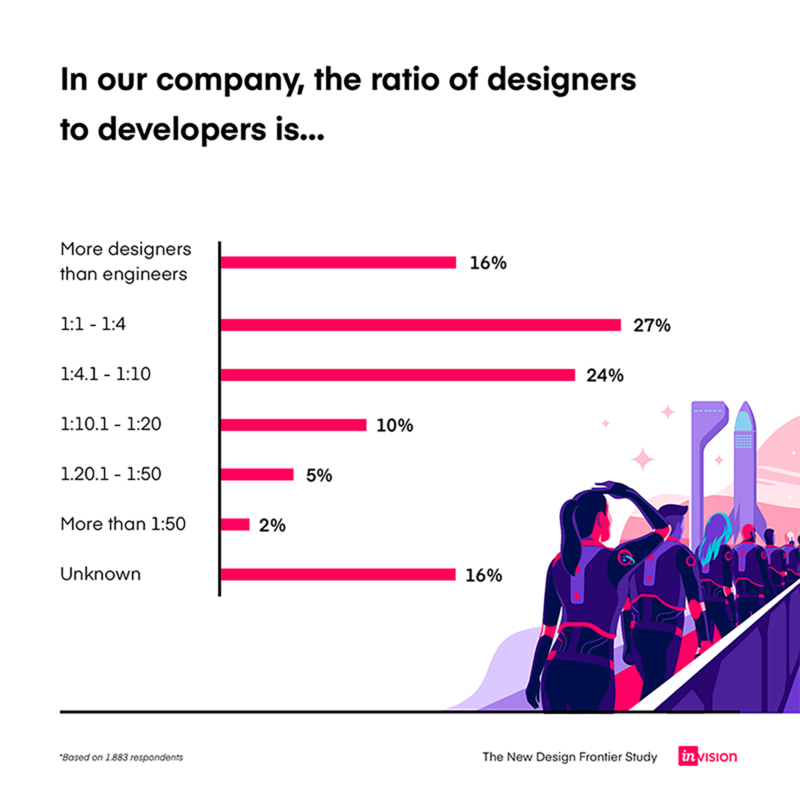 Our research is showing that not to be entirely true: 43% of companies have a 1:4 designer:developer ratio or better. “Getting design involved” is no longer a novel product process done by design mature companies. It’s table stakes. Optimizing for design is increasingly about mobilizing design correctly and less about having “enough” design resources. 60% of respondents reported a “centralized” designed structure. But we found that how you’re structured doesn’t have a strong correlation to design maturity. We have examples of different structures working for different companies. There is no “right” way. 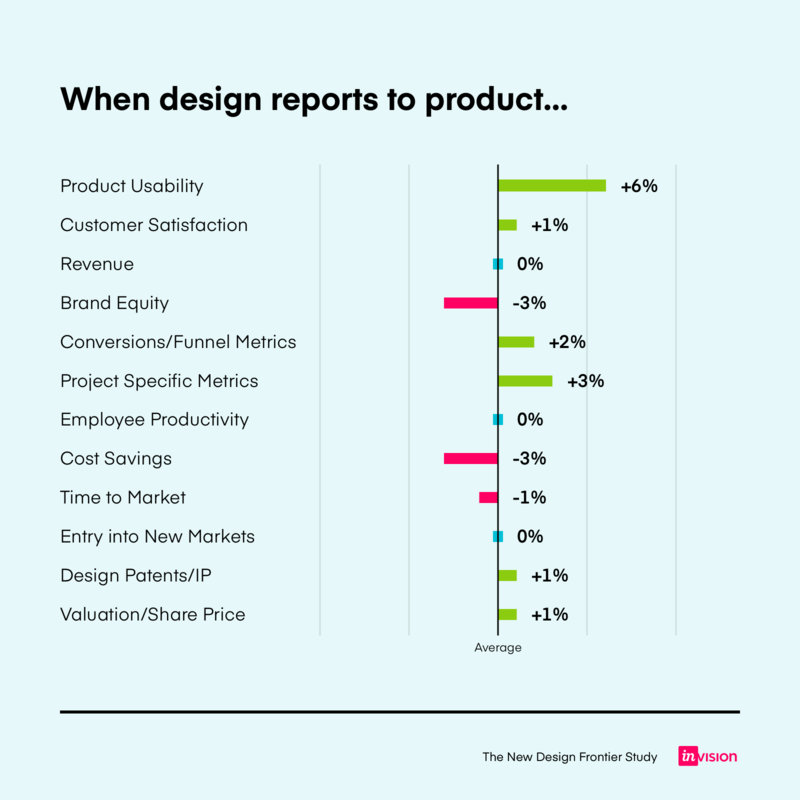 But you may be asking, “What is the best reporting structure for design?” Well, it depends what you’re optimizing for. Depending on what your company chooses you’ll report benefits above or below the average response. Important: these graphs compare the answer to the AVERAGE respondent. As an example below, having design reporting to product increases the likelihood by that design has an impact on usability. 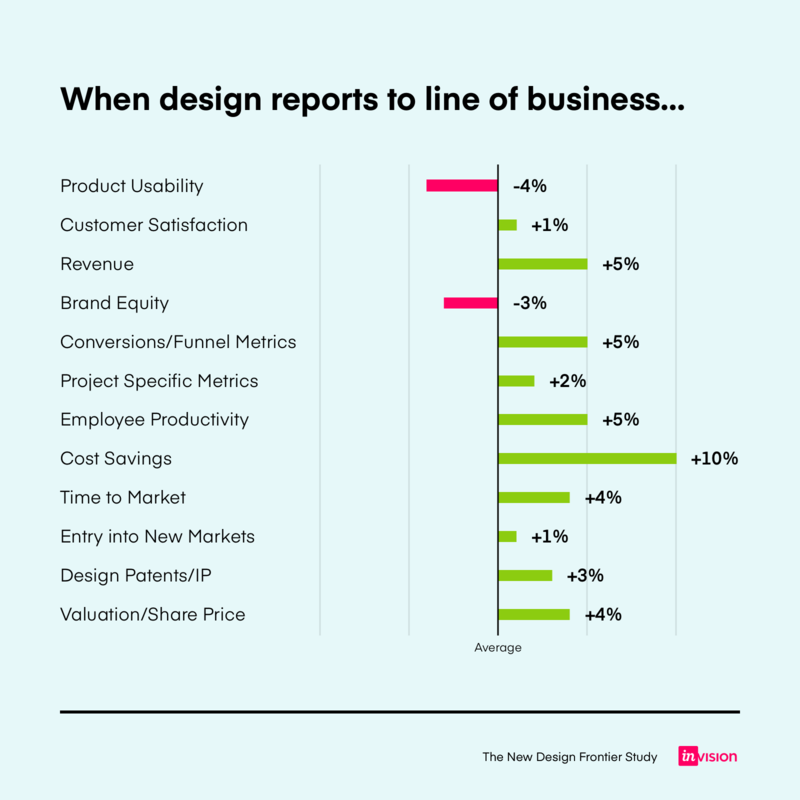 No surprise here, when design reports to line of business, the financials see above-average gains. We’ve seen this in our Design Systems Video Series: When developers and designs collaborate closely together, the product (and the user) benefits. Reporting to marketing sees gains in funnel metrics and brand equity. 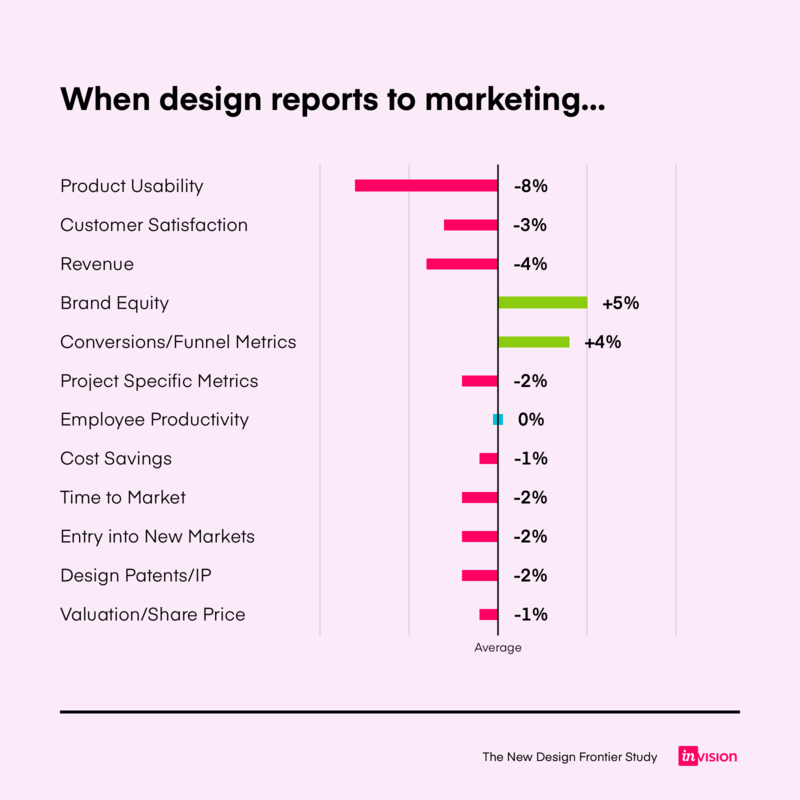 But designers reporting to marketing would be wise to not lose sight of the business impact of their work. And lastly, it’s good to be close to the top. There is much, much more to discover in our 43-page report. See how your organization stacks up with our brand new design maturity model (hint: only 5% of companies are fully design mature) and what you can do to advance design in your own org. We’ll surface more learnings from the report over the next few months.